In NYC we have a popular and effective 10 week course called "Fingerpicking Basics". But we realized some people don't HAVE 10 weeks...and of course millions of others can't even physically get to our NYC locations. So we asked ourselves "what are the MOST KEY elements of fingerpicking"? and "What would be MOST USEFUL for someone who just wanted to GET STARTED in fingerstyle guitar?" It took A LOT of work, but now we have something that we think is incredible. It really helps people with NO BACKGROUND in fingerstyle get playing RIGHT AWAY, sounding great with confidence as they play the most essential fingerstyle patterns and techniques. So, now you can get started in fingerstyle even if you don't live in New York City, for only $50. And even if you do live in Gotham, this is a great way for you to get started, so that when you take the group class you will CRUSH IT with a giant head start.Master these easy to learn techniques and seize a lifetime of fingerpicking fun! NYC Guitar School makes learning simple--step by step and song by song, in structured and motivating classes with a skilled coach and fun classmates Over 5,000 busy New Yorkers have learned to play in NYC Guitar School's Guitar For Absolute Beginner class, and have given the class hundreds of 5-star ratings on Yelp, Google and Amazon. And now NYC Guitar School classes are available via on-demand video. a step by step process to learn with efficiency and confidence. a trained and experienced coach to save your time with insights and tips. an environment and community to nurture your focus and motivation. NYC Guitar School Online features the same great teachers and proven curriculum which have helped thousands of busy New Yorkers learn to play in four NYC Metro locations. 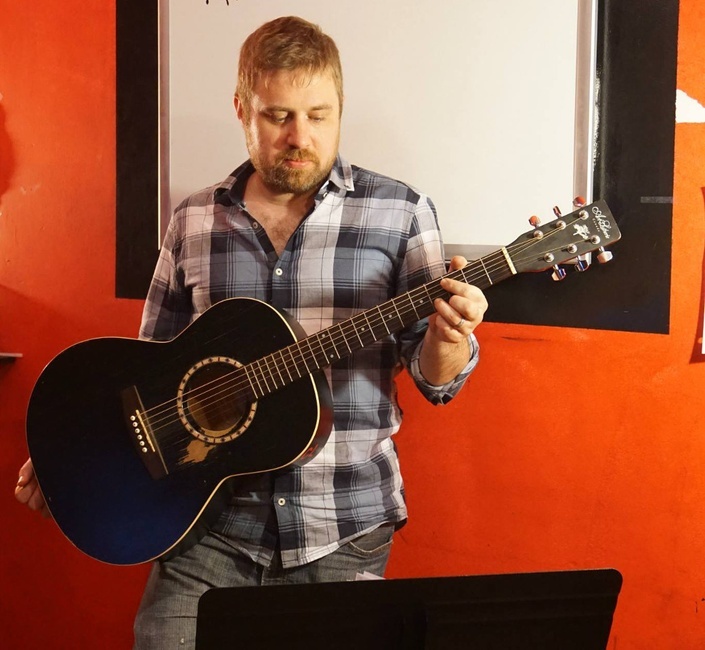 If you live in New York City, visit www.NYCGuitarSchool.com to join our musical community--we have classes, jams, workouts, lessons, bands and camps for you. If you don't live in New York City, we welcome you virtually via www.guitarlessons.nyc -- and when you do visit, be sure to drop by!